Got a little one at home that loves motorbikes? This slick ride is just like the real thing, and will keep them entertained for hours on end. Glowing headlights and sirens with exciting driving tunes to match! The perfect gift for budding young adventurers! From flashing headlights and sirens to exhilarating driving tunes, the Kids Electric Ride On Motorcycle is a realistic motorcycle ride that is equipped with a wide range of features to deliver endless hours of fun. 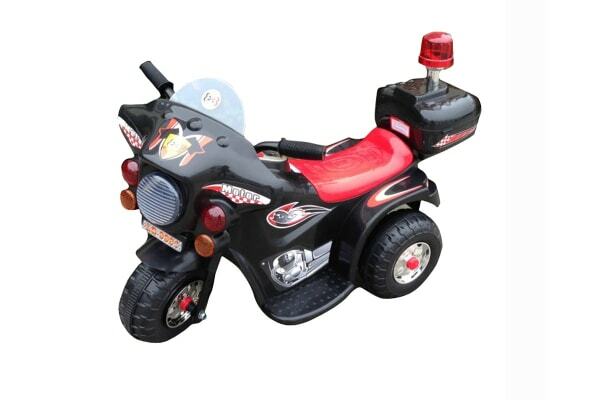 The Kids Electric Ride On Motorcycle is suitable for children between 2 to 6 years old, and has a storage box at the rear of the vehicle that is great for storing snacks and other toys. With a maximum speed of 3 kilometres an hour, you can rest assured that you won’t have to worry about your child’s safety while they’re happily zooming around the neighbourhood. This was for my grandson not to fast but the boot a little flimsy otherwise good.